We Must Hurry Yocheved. Yocheved and Esmeralda's Mother have to hide from the Egyptian in Order To Moses. 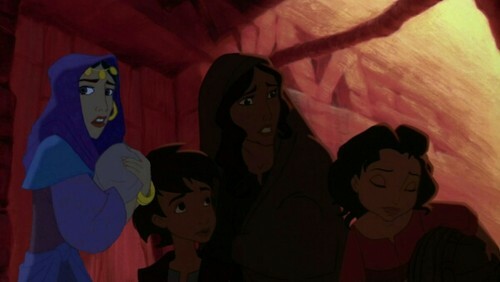 But Esmeralda's Mother must take her child and flee in to Jerusalem.. Wallpaper and background images in the डिज़्नी क्रॉसोवर club tagged: yocheved the prince of egypt esmeralda the hunchback of notre dame rzenteno. Moses' mother's called Jochavad, not Yoheaven. I change the name but Jochavad is not her name her real name is Yocheved. No, it's originally spelt Jochavad in the Bible (pronounced Yocheved).